Welcome to SitcomsOnline Digest! Christmas is coming up next week (before we'll be back for next week's SitcomsOnline Digest even), but it has been a surprisingly busy week of news this week with the somewhat unexpected cancellation of a CBS sitcom, a preview and date announcement for Fuller House, and more. Let's get going! While it isn't exactly the type of comedy that is getting the awards recognition as is the case for other Netflix original series, The Unbreakable Kimmy Schmidt is a fun and quirky series that is much more along the lines of the type of comedy you'd find in a traditional broadcast network sitcom (which only makes sense as the first season was originally produced for NBC). Now, Universal has announced a March 8 release date for The Unbreakable Kimmy Schmidt - The Complete First Season on DVD. 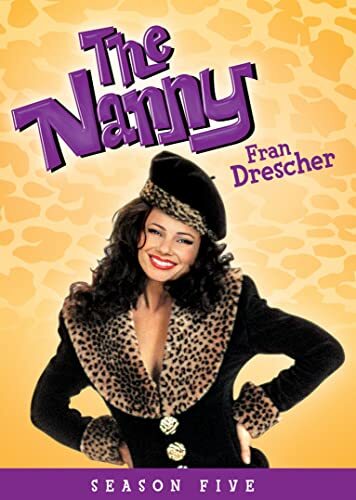 The Nanny - Season Five (DVD, $34.99): For those who may have skipped on the complete series release, Shout! Factory is bringing this individual season to retail just in time for last minute Christmas gift giving. Claim to Fame: Rondi Reed's social media existence made news about a week ago when it was revealed that she announced (and it was something that she announced several days before it really got out) that Mike & Molly would be canceled. Currently, she appears on Mike & Molly in the role of Mike's mother, a role that was originally more of a recurring role but quickly morphed into a regular role. She has previously appeared in guest roles on Home Improvement, Roseanne, Cybill, Seinfeld, Grace Under Fire, and most recently she has appeared in an episode of the current ABC hit series Scandal.